Quest for Infamy, the crowd funded Sierra inspired adventure RPG by Infamous Quests (the creators of the Space Quest II and King's Quest III fan remakes), has received a release date. It is now scheduled to be released for PC, Mac, and Linux on the 26th of June. The crowdfunded hint guide, the Quest for Infamy Companion will be released some time afterward. It seems Telltale is ready to tackle the current generation of consoles, as GameStop is now taking pre-orders for The Walking Dead Game of the Year Edition on PlayStation 4 and Xbox One. According to the GameStop product page, the PlayStation 4 and Xbox One versions of the game will be released on the 17th of June. The Blackwell Epiphany, the fifth and final game in the Blackwell series by Wadjet Eye Games, is available now for $14.99 for Windows at the Wadjet Eye Games store, GOG.com, and Steam. Now that the series has concluded, Wadjet Eye Games is going to bring the Blackwell games to more platforms soon. The first three Blackwell games will be released for iPhone, iPod Touch, and iPad this June. There are also plans to bring the series to Android, Mac, and Linux, but no release dates have yet been set for these versions. The Double Fine adventure Broken Age was not the first game by an adventure game veteran to be crowdfunded on Kickstarter. However, it was by far the first high profile one, and is credited with kickstarting the adventure game crowdfunding movement. Because of all the attention it has received, as well as the adventure game pedigree of its director, LucasArts veteran Tim Schafer, it has a lot to live up to in order to meet fan expectations. It does manage to do just that, as the first act of this two part adventure manages to deliver the kind of experience for which Tim Schafer is known. The game stars two different people from different worlds, a young boy named Shay and a young girl named Vella. Shay has been raised on a spaceship for his entire life, with only the computer's AI to take care of him and keep him company, whereas Vella lives in a small community where she has been groomed her entire life to one day act as a human sacrifice for a giant beast. However, both kids grow tired of the situation and decide they want more with their lives. The story stands on its own among the classic LucasArts adventures with which it will inevitably be compared, as the game worlds are imaginative, the story lines for each child are very interesting, and the side characters are full of the quirks we've come to expect from a Tim Schafer game. The game is played in two parts, as Shay and Vella both try to escape their lives, and the player can switch between the two characters at any time. The game is controlled in a simplified point and click interface with only one button available for actions, and manages to work well. The puzzles are done quite well, with the difficulty falling somewhere along the lines of Telltale's adventure games. There are no head scratching puzzles here, but the development team has stated that the puzzles will increase in difficulty as the game goes on, much like how Tim Schafer's older adventures ramped up in difficulty in later parts of the game. The game's backgrounds work well with Nathan Stapley's character designs. and the overall art style is as whimsical and imaginative as we've come to expect from a Double Fine title. Peter McConnell's music was performed live by the Melbourne Symphony Orchestra, and it really shines. Each piece fits the scenes wonderfully, helping to shape the world of the game as well as the whimsical art style. The voice acting complements the musical score well. Voice work is always top notch in Double Fine games, and it certainly doesn't disappoint here. The whole cast is voiced wonderfully, with many veteran voice actors from Double Fine's games returning, along with several celebrities ranging from Wil Wheaton to Elijah Wood. This isn't just stunt casting either, as each voice fits their role wonderfully. Broken Age Act I definitely stands its own among Tim Schafer's classic adventure lineup. The art style is whimsical and lively, the locations and characters are memorable, the orchestrated soundtrack is fantastic, and the voice acting is top notch. The puzzles aren't too difficult, but, since the second act is said to be twice as long as the first, they're about right in terms of difficulty for the first third of a Tim Schafer adventure title. The highest profile adventure title to come out of the Kickstarter movement has managed to deliver, and fans of Tim Schafer's adventure titles and fans of the adventure genre owe it to themselves to pick it up. Fans of the Broken Sword series are divided in their opinions on the three dimensional entries in the series, but it is almost universally agreed that the original hand drawn titles were more enjoyable. So, when Revolution went to Kickstarter for the fifth installment with news that it would return to hand drawn backgrounds, expectations were high. Thankfully, the first part of this two part adventure should satisfy most fans of the series and fans of point and click adventure games in general. The game's characters and some of the scene elements (such as automobiles, which fans might remember actually were also 3D models in at least one cutscene in the original game) are presented as three dimensional models, but the backgrounds are two dimensional and hand drawn, giving the game somewhat of a presentation somewhere between the first three games. This is a bit jarring at first to people who are used to the fluidity of the animation of the hand drawn character models of the original game. The feeling of disjointedness however is short lived, as the animation of the three dimensional character models are well done, and the art design of the characters match the art design of the backgrounds quite well. The game is also presented with a complete point and click interface similar to the original games in the series. There is also an option to present the text in the style of either the original games or the high definition remakes, which should please fans no matter which point they joined George and Nico on their adventures. The game begins as George Stobbart, who is now working as an art insurer, is sent to Paris to a private viewing in an art gallery. He meets Nico Collard there, who is still working as a reporter, and the two catch up on old times. Unfortunately, as is often George's luck, there is a murder, and the painting is stolen, leading George to have to investigate on behalf of his employer, who had insured the painting and is now responsible for reimbursement. As is usually the case with this series, the investigation soon leads to a larger conspiracy, and danger for our heroes. This is just the first part of the game, so the investigation is just starting to build to the larger conspiracy before the first part ends, leaving a cliffhanger for the second. However, this is done very well, and the pacing of which the game builds up its story is similar to that of the other games in the series. The cliffhanger certainly serves its role well, as it leaves you wanting to know more once the credits roll. The puzzles here are also very well done. The puzzles never quite get as hard as some of the puzzles in the original games, but the ramp up in difficulty is well done., but the puzzles do get more difficult and require more thinking outside the box as the game goes on. However, despite requiring some more outside of the box thinking at times, the solution to each puzzle always makes sense logically. They are all suited to the world of Broken Sword very well, which, despite the supernatural theme of the conspiracies the couple always encounter, are always grounded mostly in reality. The game also presents the player with a hint system if they get stuck, as well as the ability to highlight hotspots, which will prove useful for some of the smaller objects in the game's world. If you prefer to play the game with less help, these can also be toggled on and off. The music and voice work is always a big part of the presentation of the Broken Sword series, and it certainly doesn't disappoint here. The music fits the scenes well, and have the same sweeping orchestral feeling that fans of the series expect. There are also parts of the game that have some other styles of music, and this also fits each scene very well. I found myself quite enjoying a 1970s style pop song that plays during one scene. The voice work is excellent as well. Rolf Saxon returns as George Stobbart, which is always a good thing, as his voice work is the main reason that the narrative style of the game works so well. The other characters are voiced excellently as well, from Nico Collard, to the supporting cast. As is usual, there are some popular characters from previous entries in the series that return here, and they are also voiced excellently as usual. There are some slight sound level fluctuations in some of the lines, which can be quiet at times, but unusually loud in others. However, this doesn't happen often, so it doesn't really detract much from the game. Broken Sword 5 Episode I is an excellent start to a game which is shaping up to be a solid entry in this excellent series. The story is intriguing, the voice work and music is superb, and the puzzles are well done. There are a few technical hiccups regarding the sound levels of some of the lines, and the story here is really just starting to get on its feet before it ends on a cliffhanger. However, these small quibbles don't stop the game from being one of the best of the crowdfunded adventures to be released so far. 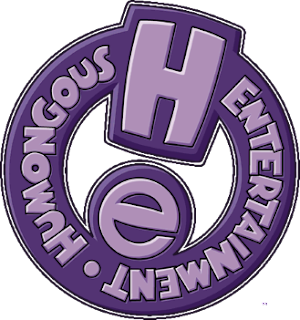 For those who don't know, Tommo purchased Humongous Entertainment in Atari's bankruptcy auction last July (except for the Backyard Sports franchise, which went to The Evergreen Group, and Moonbase Commander, which went to Rebellion). Today, Night Dive Studios, the company that brought back into sale classic games such as System Shock 2 and I Have No Mouth, and I Must Scream, announced that they have partnered with Tommo to bring 28 classic titles from Humongous Entertainment, the educational software company founded by Ron Gilbert and Shelly Day in 1992, to Steam. Today sees six releases on Steam: Putt-Putt Joins the Parade, Freddi Fish and The Case of the Missing Kelp Seeds, Pajama Sam: No Need to Hide When It’s Dark Outside, Spy Fox in: Dry Cereal, Putt-Putt and Pep’s Balloon-o-Rama, and Freddi Fish and Luther’s Maze Madness. On May 1st those games will be joined by Putt-Putt Goes to the Moon, Freddi Fish 2: The Case of the Haunted Schoolhouse, Pajama Sam 2: Thunder and Lightning Aren’t so Frightening, Spy Fox 2: Some Assembly Required, Putt-Putt and Pep’s Dog on a Stick, and Freddi Fish and Luther’s Water Worries. May 15th will see the release of Putt-Putt Travels through Time, Freddi Fish 3: The Case of the Stolen Conch Shell, Pajama Sam 3: You Are What You Eat from Your Head to Your Feet, Spy Fox 3: Operation Ozone, and Putt-Putt and Fatty Bear’s Activity Pack. Then on May 29th Steam will receive Putt-Putt Enters the Race, Putt-Putt Joins the Circus, Freddi Fish 4: The Case of the Hogfish Rustlers of Briny Gulch, Pajama Sam 4: Life Is Rough When You Lose Your Stuff!, and Spy Fox in: Cheese Chase. Finally, on June 6th, the final releases will come out, including Putt-Putt: Pep’s Birthday Surprise, Freddi Fish 5: The Case of the Creature of Coral Cove, Pajama Sam’s Sock Works, Spy Fox in: Hold the Mustard, and Pajama Sam’s Lost & Found. Here's hoping that these games get released on GOG.com as well. And now that this humongous rumor has become reality, hopefully the rumor that they are also working on re-releasing classic LucasArts games will come to fruition as well. Update April 17th - GOG.com is now taking pre-orders for The Blackwell Epiphany as well. As a bonus for pre-ordering from GOG.com, you'll get a GOG.com exclusive extended demo of the game, as well as the other pre-order perks listed below (minus the Steam key, of course). Original post from April 1st - The Blackwell Epiphany, the fifth and final game in the Blackwell series by Wadjet Eye Games, is scheduled to be released on April 24. The game is up for pre-order now for $14.99 USD from the Wadjet Eye Games store. People who pre-order will get additional bonuses once they become available: behind the scenes videos, access to the video feed for the virtual launch party, the game's soundtrack, and a Steam key for the game. When the game is launched on April 24th, it will be available from the Wadjet Eye Games store, Steam, and GOG.com. Lilly Looking Through was one of the most intriguing adventure games to be crowd funded during the 2012 Kickstarter adventure game craze. The lovely art style and intriguing time traveling puzzle mechanics sounded like this would be an adventure game that would stand apart from its peers. The material shown during the Kickstarter campaign certainly set the bar of expectation high for Lilly, but luckily, this is a game that manages to live up to its hype. The game follows a little girl named Lilly who soon finds herself having to travel across rocky terrain, solving mechanical puzzles to open up passageways so she can rescue her little brother. She also can travel through time, thanks to a pair of goggles that had appeared just as mysteriously as the apparatus that took her brother away. The basic game play is reminiscent of many different adventure games from the past. locations and mechanical puzzles are very reminiscent of Myst, and the single click action to perform tasks is reminiscent of Gobliiins, especially in the scenes where Lilly has to work with her brother to solve puzzles she can't reach. The time traveling mechanics are the real jewel of the game, as Lilly will find herself having to wear the goggles to walk on passages that have been ravaged through the passage of time, or do an action in the past that will have repercussions she can utilize in the present. The puzzles are leveled off well, with the first few scenes containing basic puzzles, with the more thought requiring puzzles coming later in the game. If you aren't sure what to do next, there is a helpful hint button that will highlight the most likely hotspots that you should click on to proceed. As I mentioned before, the art style of the game is just lovely. The animations of Lilly and her brother capture the innocence of childhood, and the almost otherworldly mountainous landscapes Lilly has to traverse seem to capture the imagination of childhood as well. The game is just beautiful, and I found myself just immersed in the scenes, taking in the art style while I thought upon a solution, and not realizing that hours had gone by. The sound design also compliments the rest of the game well. The music fits the atmosphere well, and while there isn't much voice work, the few lines that Lilly and her brother have are performed really well and add to the feeling of childhood innocence that the game exudes. The game is not long, but the elegant presentation and gradual ramping up of puzzle difficulty made the game feel like I had played more through more stages than I had. The increase in puzzle difficulty also never feels like an artificial extension of play time since the increase in difficulty is also reflected in the art design. Lilly's travels feel more perilous as she goes on, making the change in difficulty fit in the game naturally. Lilly Looking Through is a really charming puzzle adventure game that is well worth playing at least once. It's not long, but it's definitely worth it's current price. The art style and sound design is charming, the puzzles ramp up in difficulty naturally, and the whole game seems to capture the feeling of childhood amazingly well. It does end on a cliffhanger, making you want more. So, hopefully there are more adventures in Lilly's future. If her next journeys are as captivating as her first, they'll certainly be welcome. The first and second episodes of The Walking Dead: Season Two are finally coming to the PlayStation Vita. Telltale's PR person Laura Perusco has confirmed that the two episodes will be released for the PlayStation Vita on the 22nd of April in North America and on the 23rd of April in Europe. Update: The computer versions of Episode 2 are out now! The game has been updated on distribution sites to now contain both episodes in a single game. So, if you've been waiting to play until it was released as a full game, you can do so now. Revolution has announced that Broken Sword 5 Episode 2, the final part of the crowd funded adventure, will be releasing later today at around 6PM British Summer Time for PC, Mac, and Linux. Vita, iOS, and Android versions will be following shortly. A Linux version and French, Italian, German, and Spanish translations are not available at launch, but they are currently in development and will be coming soon. For just a little while longer, you can pick up Broken Sword 2: The Smoking Mirror Remastered from Humble Bundle for any amount you feel like paying (along with Bridge Constructor, Type:Rider and Ravensword: Shadowlands). If you pay more than the average (currently just under $4 USD), you'll also receive The Shivah Kosher Edition (along with Kingdom Rush, Knights of Pen & Paper +1 Edition, Savant - Ascent, and Syder Arcade). As with all Humble Bundles, a portion will go to charity (in this case, the Electronic Frontier Foundation and Child's Play), and you can decide how much of your money will be split among the charities, the developers, and Humble Bundle. The remastered version of the remake of the first game in The Journeyman Project series, The Journeyman Project: Pegasus Prime, is now available from GOG.com for Windows and Mac. It is currently available for the launch price of $7.99, which is $2 off the regular price. The Telltale website hasn't been updated with the news, but The Walking Dead: Season One is now available on Android devices. After the game appeared on the Android based Kindle Fire platform late last year, it seemed like only a matter of time before it was extended to other Android devices. It was previously assumed that the already announced Ouya release would happen first, but it is now available on the Google play store for Android devices in general. There is still no word on when the Ouya version will be released. Update April 9: It's out on Xbox Live Arcade for Xbox 360 and PSN for PS3 in Europe. The iOS version is scheduled for the 10th of April. Update: It's available now on Steam and PSN for PS3 in North America as well. There's good news for people who ordered The Wolf Among Us from the Telltale store. Episode 3: A Crooked Mile is out now on the Telltale store for PC and Mac, as the game has received a rare midnight release. The game will be released later today on Steam and on the PlayStation Network for PlayStation 3 in North America, tomorrow on Xbox 360, and some time this week for iOS as well. There is a new crowdfunding campaign up on Kickstarter for an adventure game titled Dead Synchronicity. It is described as a 2D point and click adventure game featuring space-time distortions, a dystopian atmosphere and a dark, bloodstained plot. If funded, it will be released for Windows, Mac, Linux, and iPad. If you want to back it there are many tiers to choose from, such as a digital download of the game at $15, a digital download of the game and either a digital artbook or digital soundtrack at $25 (or all three plus alpha and beta access at $35), all previous rewards plus printed poster at $50 (or signed at $65), all previous rewards plus a boxed copy of the game at $90, up to a meeting in Madrid to meet the team (which is a paid trip with three nights in a luxury hotel and tickets to watch a soccer game) at $10,000. So, if a dark point and click adventure with a unique art style sounds interesting to you, head to the Dead Synchronicity Kickstarter to pick a tier and back the project. Update April 2: The release dates are in. It will release on the 8th of April for PC, Mac, and PSN on the PS3 in North America and on the 9th for XBLA on Xbox 360 and for PSN in Europe. It is scheduled to release on iOS some time next week as well. The trailer for The Wolf Among Us: Episode 3 - A Crooked Mile is here. Readers of the Fables comics should look closely at the trailer, as you'll see that a fan favorite character from the comics will finally be making an appearance in the game. There is still no release date, but now that the trailer is out, it's pretty safe to say that the episode should be released within a week or two. Another Kickstarter funded adventure game will be arriving soon. Tesla Effect: A Tex Murphy Adventure (previously known under its working title of Project Fedora) will be released on April 22, and it's up for pre-order now at GOG.com. If you pre-order from GOG.com, you will receive the game when it's released, and you will immediately receive the soundtrack (in both MP3 and FLAC), as well as one additional Tex Murphy game of your choice (which will be sent via a gift code to your e-mail by the end of the week).